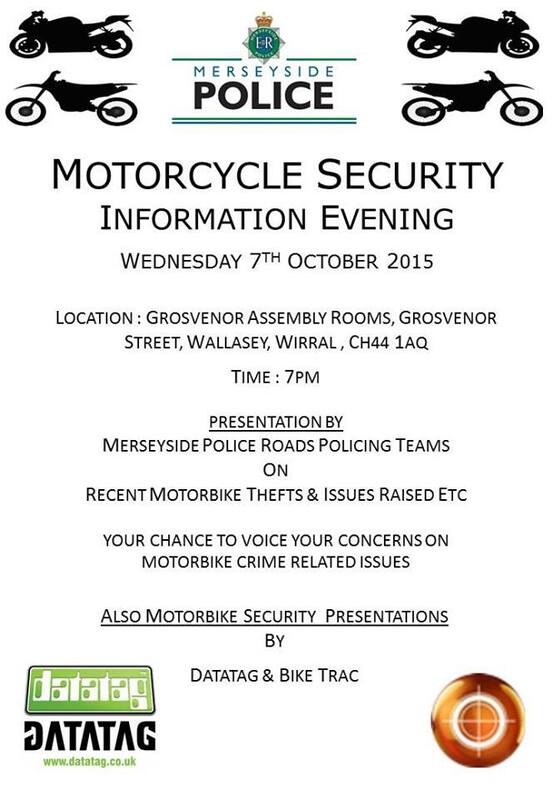 At the Grosvenor Assembly Rooms in Wallasey, Merseyside Police are doing a presentation about security of bikes plus going through issues raised etc. Excellent chance to put your voice across and get some handy tips. Datatagging and biketag will be there for a short presentation too.